Screen rooms by Papillion Construction are ideal for homeowners who want to experience the great feeling of being outdoors while being protected from the negative aspects of being outside. 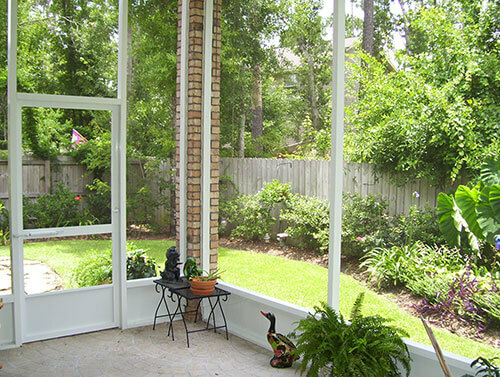 A screen room will provide protection from insects, rain, and exposure to the sun while still allowing you to experience the breeze, smells, sounds, and openness of being outdoors. Best of all, we only use high-quality, low maintenance building products in the construction of our screen rooms to provide you with years of enjoyment with minimum upkeep. 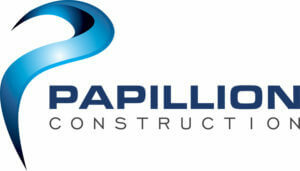 Papillion Construction is the screen room authority in designing and delivering quality screen rooms in Pensacola and the surrounding areas. Studio style screen rooms are our most popular type of screen room. A gable style roof will add more light and space to your screen room. 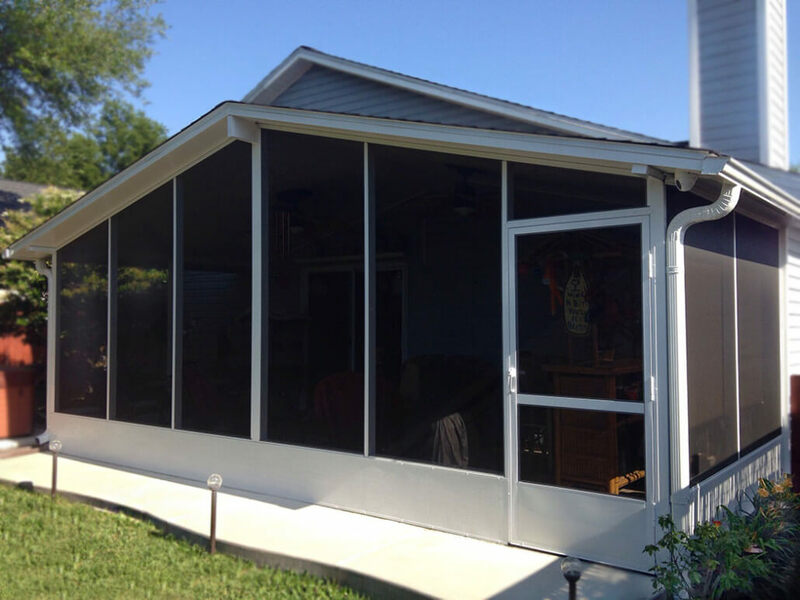 Not only will a custom screen room addition by Papillion Construction enhance your backyard and comfort, it will also add value to your home. Our screen rooms are built to each homeowner’s particular lifestyle and budget making it an affordable and viable option for our customers. 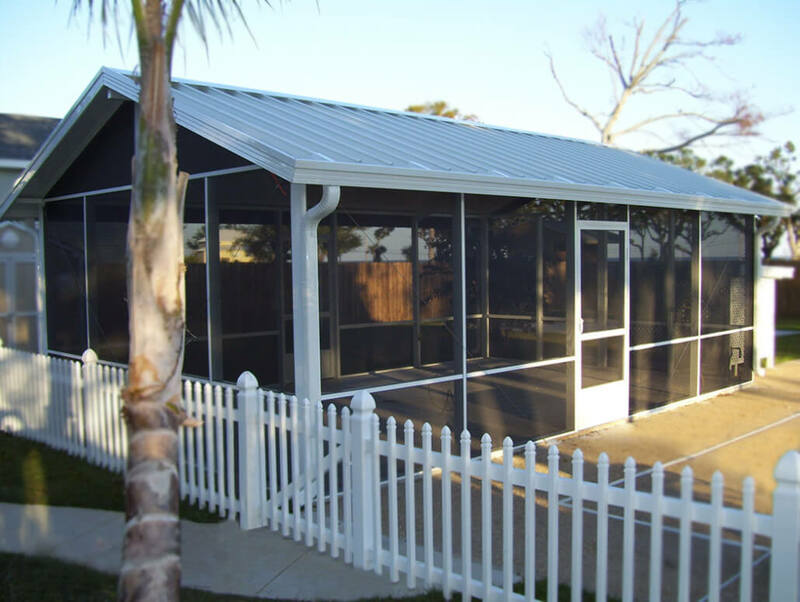 All of our screen rooms are structurally designed to meet or exceed building code and wind load requirements. Please visit our Contact page to schedule your free design room consultation today. 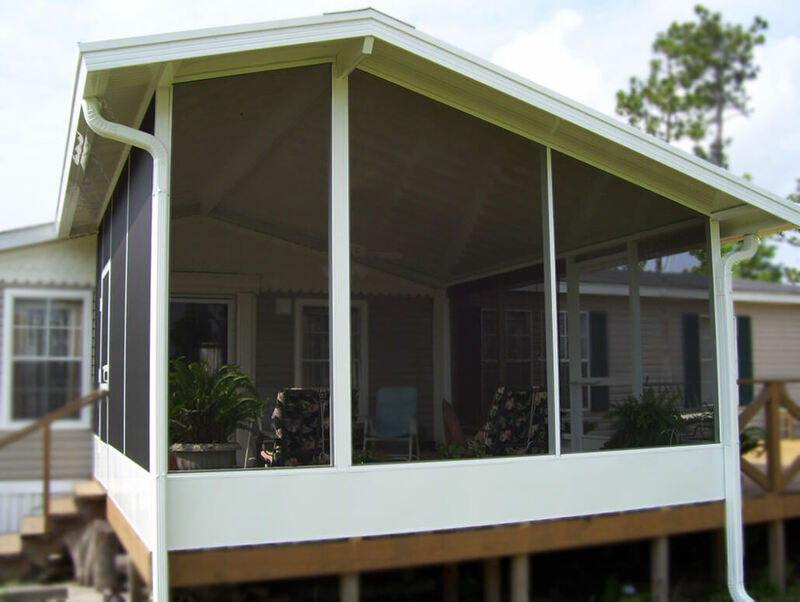 We provide screen room services to Pensacola and the surrounding areas including Navarre, Gulf Breeze, Crestview, Milton, Pace, and Molino.